A Big Thank-You from Merrithew™! Thank you to everyone who came by our booth at IHRSA 2016 in Orlando! It was great to see our distributors from Australia, Colombia, Indonesia and Mexico. We also met potential distributors from around the world and caught up with some of our favorite customers. 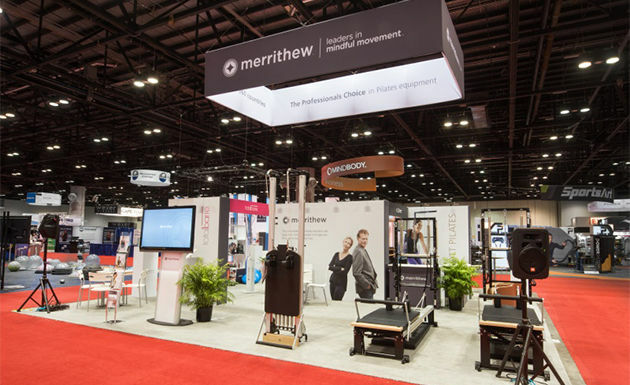 We launched our new Merrithew™ booth, highlighting STOTT PILATES®, Total Barre®, CORE™ Athletic Conditioning & Performance Training™, and HALO® brands and debuted our exciting new collection of fitness accessories for Kids, plus Agility and Healthy Workplace products. If we missed you, and you have some questions, please send us an email at, equipment@Merrithew.com.